My name is ~Sara~ A 30 yr. Love and Relationship adviser that will give you a better understanding of the people and situations currently in your life. Use my Clairvoyance & Tarot to analyze the forces at work around you! 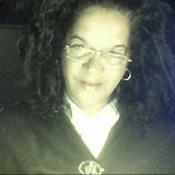 As a Clairvoyant and a Tarot Reader, I offer a smooth blend of prediction and practicality. Being spiritually happy does not mean everything in your life is perfect. It does mean you have decided to see beyond the imperfections. Allow me to guide you to the life you deserve. I read on any topic, but love and relationships are a specialty of mine. I will provide accurate information in regard to the situations and people in your life. Using my natural abilities and the Tarot, we can analyze the energies around you to find the answers you seek. My goal during your reading is to assist you in creating the path you desire. My readings are honest and straightforward, and always confidential regarding your love life, employment or financial affairs. I am here for you! I also read on pets! "Dear God, Holy Spirit, Ascended Masters, and the Angels" I ask that everyone guided to contact me today to receive blessings from my connection to them and gifts. I welcome new people and opportunities into my life and theirs with open arms. I am willing to release any negative thoughts, patterns, or beliefs that would lead them or me to sabotage new opportunities for us both. Please help me know the path that will bring them good, as well as me, the good we both deserve now.... by your mercy and grace...Amen You can count on my help. I send you my best wishes and full support. ADVISOR SARA-JACQUELYN has been a user of Keen since 2003. Getting Love & Relationships advice from ADVISOR SARA-JACQUELYN through www.keen.com is safe, secure and confidential.